Lots of trouble on this hole with bunkers down the left and a ditch running across the fairway. 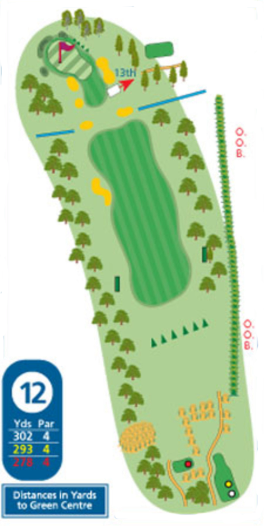 The ideal shot would be a long iron or fairway wood down the right side of the fairway. 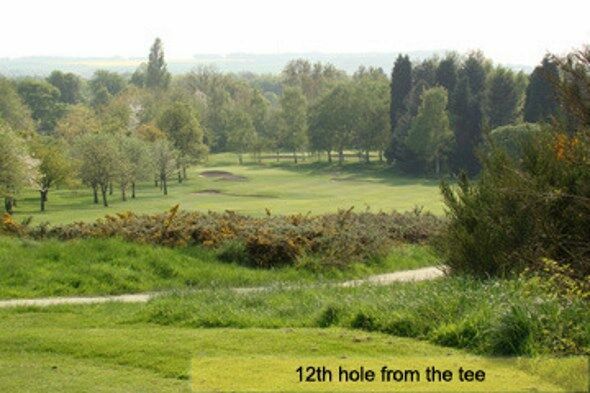 Well guarded green with bunkers at either side of the front making a narrow entrance but you should be playing just a short iron in to this one. 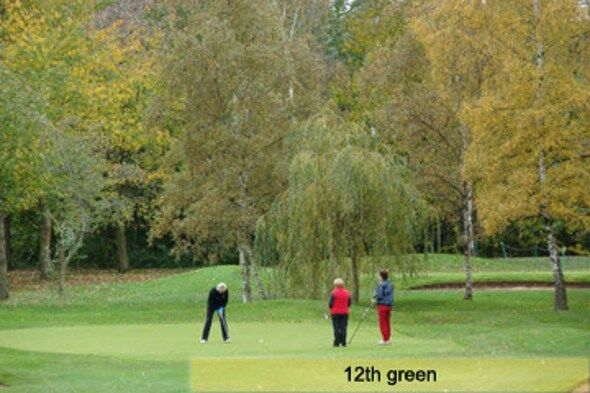 Large flat green with very little break giving a good chance of a birdie putt.